There are certain dates that everyone remembers. We know exactly where we were and what we were doing when a seminal event happened. A major one for me was Tuesday, June 12, 1990. That day my father asked me for lunch at the Montefiore Club in Montreal, a stuffy club that he had belonged to forever. Not my favorite place, but I was looking forward to spending some time with him. After the waitress took our order, he said he had something to tell me. His usually pleasant face was obviously pained. He said he had been to see his doctor. As soon as those words came out, my first thought was he had a terminal disease. The one that flashed through my mind was cancer. But that’s not what he said. The doctor, he told me in a hushed voice, said he had Alzheimer’s. Now, I didn’t really know much about Alzheimer’s, but I was thankful that it wasn’t cancer. My heart rate started to normalize, the perspiration started to evaporate—yes, he had this Alzheimer’s, but thank god no cancer, no heart issue, no ticking time bomb that would shorten his life. Just a problem with memory, or so I thought. But Alzheimer’s is a terminal disease and not a pleasant one. None of them are, and it’s useless to compare one to the other. They are all terrible, both for the afflicted and for their families. I was able to witness his disease. And witness it I did, along with my mother and two sisters—for eight years. To be honest, I never researched a lot about Alzheimer’s until after he passed away. But I had a lot of “home schooling” during those eight years. At the beginning it was a little memory loss, then a bit more, then confusion, then disorientation. He gradually became another person before finally retreating into an almost comatose state as his organs shut down. When he passed away in 1998, I was relieved—for him and for my mother, who was his constant companion, even when he didn’t know her, and toward the end, didn’t know that she was even there. It’s hard to say one is relieved when a loved one dies, but the reality is, at that point he had no life. Either he wasn’t able to comprehend or feel anything, or if he could, and being unable to move or communicate, he must have been suffering. Neither one was a good outcome. A few years later I began to write in earnest and had success with my first two novels, Pinnacle Of Deceit and The Innocent Traitor. Then I told my agent that I would like to write a book about Alzheimer’s. She said who would want to read about such a depressing subject? So I started another thriller and was about halfway through when I decided that I had to write this book. I wanted to let people know what Alzheimer’s really is, that it’s not just a problem with memory. I wanted people to know what it’s like to live with a loved one with Alzheimer’s. And what caregivers go through. To that end, I enlisted the help of Dr. Serge Gauthier, one of the world’s leading Alzheimer’s researchers. He made sure my two-year cram course yielded the correct medical results. I figured most people are not going to read a non-fiction book on the subject unless they already have a relative with the disease. Besides, somehow non-fiction medical books are not only stark, but may be scary to some people. I wanted to show what Alzheimer’s can do to a family, but have the novel be as uplifting as possible. 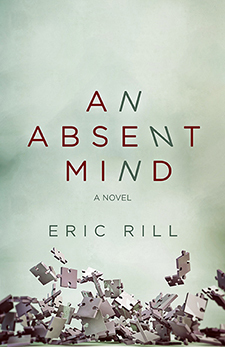 So I penned An Absent Mind, hoping not only to write good fiction, but also to provide a window into a family and how they coped with this dreaded disease. I truly hope I was successful in doing that.